You can build your very own viral affiliate video site monetized with Amazon affiliate products in under 60 seconds! AutoTube will automatically add relevant Amazon affiliate products to each post to monetize your site. AutoTube Builder 2.0 integrates with content spinners so you can automatically spin the imported content to make it unique. The AutoTube Builder 2.0 plugin integrates with OnlyWire to automatically submit your new posts to Social Media sites for backlinks and traffic. AutoTube allows you to search by keyword and choose videos to add to your site. The software will then create a new post for each video. AutoTube Builder automatically inserts your affiliate links into each post. The AutoTube Builder 2.0 plugin runs on WordPress so it is easy to setup and any WordPress user can use it. AutoTube Builder will automatically place the video title in the title tag and header tags. Build Complete Viral Affiliate Sites Monetized with Amazon Affiliate Products At Lightning Speeds! AutoTube Builder Makes Creating Video Affiliate Websites As Easy As 1...2...3! Simply enter in any keyword you want and AutoTube Builder will bring back relevant YouTube videos for you to choose from to add to your website. Simply click the desired videos you want added to your site, you are in complete control of what videos are added. With the click of a button AutoTubeBuilder will create a new post for every video you select, add relevant Amazon products to the post, spin the content and submit it to social media sites. It doesn't get much easier than that! Let the software create it all for you! If you want to build a profitable Amazon affiliate site in record time, you need AutoTube Builder 2.0. Not only will it build a completely monetized site, but it will also pull in FREE viral traffic on autopilot. This is a must-have for anyone who wants to make money with affiliate marketing. In Less Than 60 Seconds You Can Have Your Own Viral Video Affiliate Website Created! AutoTube Builder Imports All The Videos For You! And AutoTube Builder Adds Amazon Products To Each Post For You! AutoTube Builder inserts YouTube videos directly into your website in a new post for each video. AutoTube Builder will pull the video description from YouTube and insert it into the post. You do have the option of turning this feature off if you would like. AutoTube Builder will automatically insert related Amazon affiliate products that are embedded with your affiliate link. AutoTube Builder 2.0 integrates with content spinners so you can have the software automatically spin the imported video description to make it unique. AutoTube Builder 2.0 integrates with OnlyWire which allows the plugin to automatically submit your new posts to Social Media sites for automatic links and traffic. AutoTube Builder also gives you the option of manually choosing which products are added to a post by searching Amazon products via any keyword. This puts you in complete control of your site. AutoTube Builder will automatically add a related videos section to encourage your visitors to consume more of your content and make more commissions. Share buttons for top social media sites are added to help visitors share your content and help it to go viral. You can easily change your Amazon Locale in the settings to match your country. You are not restricted to just Amazon affiliate products. You also have the ability to enter in your own custom affiliate ads to show at the top and bottom of each post. You can insert adds from Clickbank, eBay, Commission Junction, JVZoo or any other of your choosing. Instead of creating all your video posts at once, AutoTube Builder allows you to schedule them for a future date. This allows your site to naturally grow over time and results in better search engine rankings. When importing your videos, AutoTube Builder allows you to choose different categories for different videos. This is a huge time saver and allows you to organize your videos on your site. AutoTube Builder uses the Amazon API to import your products and affiliate link (don't worry, it is very easy to setup). 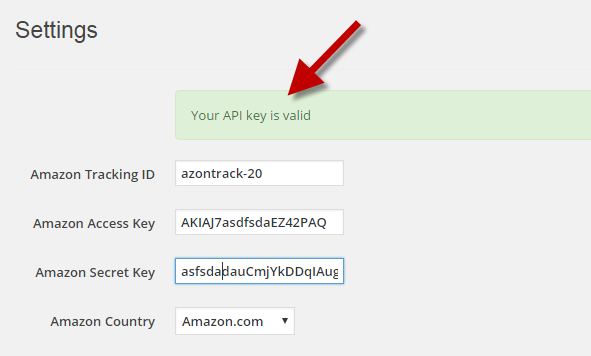 In order to make it as easy as possible, we have integrated an API check so you can easily see if you have it setup correctly. AutoTube Builder Makes Creating Viral Affiliate Video Websites Easier Than Ever! Grab Your Copy Of AutoTube Builder Now! Just send us an email and we will refund your purchase. Simple as that! No, AutoTube Builder is a WordPress Plugin so it takes about 30 seconds or less to install. You will need hosting, a website with WordPress installed and an Amazon Associates account (which is free). Yes, this is a WordPress Plugin so your website must be running on WordPress. Yes, you can edit any part of the post that the software creates and you can even add in your own content (such as a review) as well. Every effort has been made to accurately represent our product and its potential. Any claims made of actual earnings or examples of actual results can be verified upon request. The testimonials and examples used are exceptional results, don’t apply to the average purchaser and are not intended to represent or guarantee that anyone will achieve the same or similar results. Each individual’s success depends on his or her background, dedication, desire and motivation. As with any business endeavor, there is an inherent risk of loss of capital and there is no guarantee that you will earn any money.